China’s largest tech firm Xiaomi said on Monday that they aim to create a whopping 20,000 jobs in India, one of their most important overseas market. The new jobs will be created over a period of three years up ahead. The announcement was made at the Economic Times Global Business Summit 2017, where Lei Jun, founder of Xiaomi, revealed that the company has made major strides in a very short time. He also spoke about China’s Internet Plus policy which is a new form of economic plan where internet is integrated with traditional industries that can encourage the industries and drive economic growth. 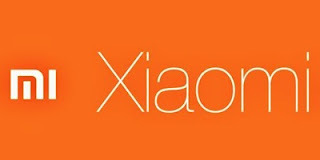 The new policy elevates the internet to become the most important engine for the country’s economy and Xiaomi is one of the companies to adapt this policy. After the success in the online market, Xiaomi is all ready to take on the offline market. Xiaomi presently holds around 29 per cent of the online market share. Xiaomi entered India in 2014 and has been seeing a steady growth in the country ever since. After the introduction of its first plant in August 2015 in AP, Xiaomi last week announced another manufacturing plant in the country to help increase sales. Presently, Xiaomi is manufacturing almost 75 per cent smartphones in the country and on Monday, the founder announced that with the introduction of the new plant, manufacturing will see almost 95 per cent Made in India phones ahead. At the launch of the latest budget smartphone Redmi 4A in India last week, Vice President Manu Kumar Jain also announced that Xiaomi, with its new plant and massive women majority workforce, are able to manufacture one smartphone every second. The new plant has helped employment for almost 5,000 people from the surrounding villages in AP and 90 per cent of the workforce employed there are women.